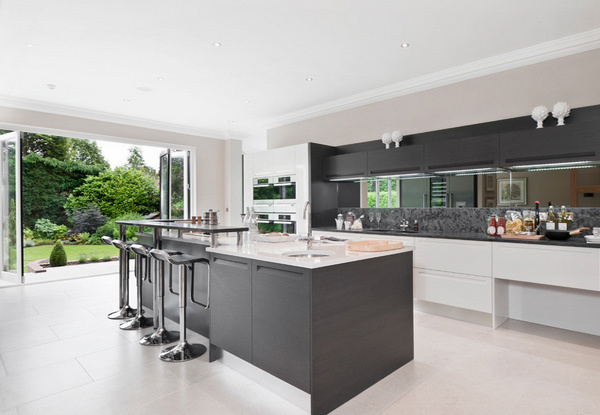 Creating or designing an open kitchen space is something we consider when we wanted to make sure we can see the entire floor area in our home. This is usually the case especially when there are kids in the house because most mothers want to make sure that they see their kids every time they are cooking in the kitchen. 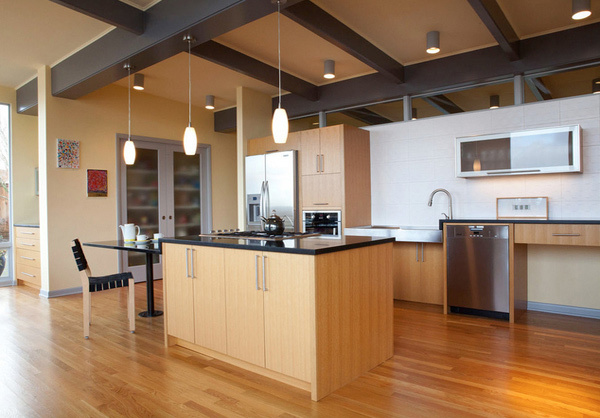 For yuppies or young professionals who consider this kind of kitchen, it is usually when they have limited space in their apartment or studios to be putting up walls in the kitchen to cover the cooking activities there. 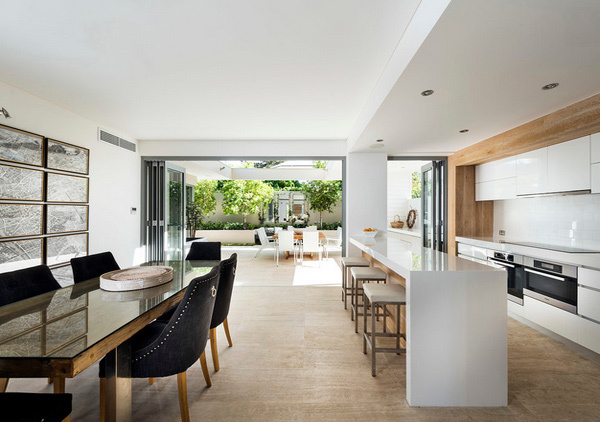 Today, we will be showing you a list of 15 Lovely Open Kitchen Designs that will inspire us when it comes to designing an open kitchen space! Not only does it make your home or your spaces wider, but it also helps when you are a bit claustrophobic and do not want to feel like you are enclosed in a space. Well, of course, this is an isolated case – but let go on and check the pictures below. Stunning accordion doors that gives way to beautiful garden of this home. Some designers call this style, indoor-outdoor! Nice concept! 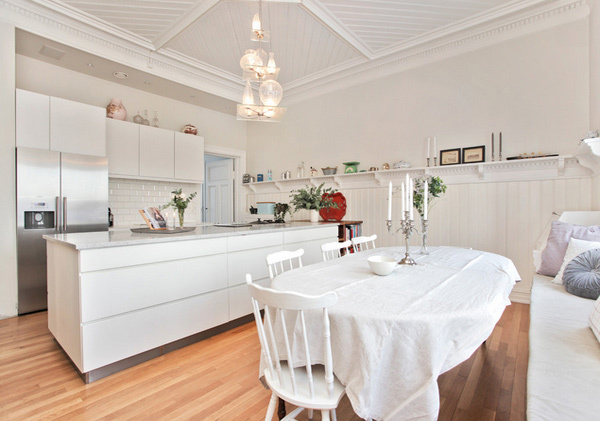 Bare white walls draw the eye up to the original ceiling details and the contrasting Philippe Stark light. Unique and colorful barstools that complement the white kitchen design that we have in this photo. But most of all, we like the frosted glass cabinets. A clean island in the kitchen looking out to the courtyard or backyard is something we don’t see every day, so anyone who will be seeing this space will definitely love it! 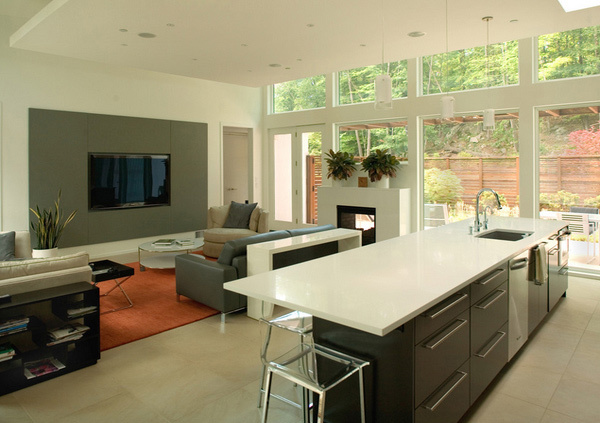 This modern, open concept design consists of a large island and lots of storage in the tall pantry cabinets. All of the appliances are fully integrated into the cabinetry, creating a streamlined, modern look only achieved through high quality custom design. Three things – open shelving, cabinetry and layout! 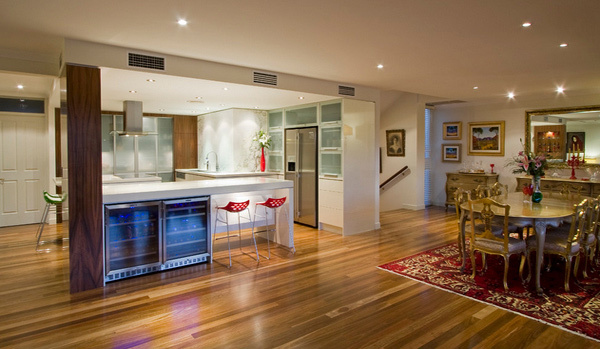 Open plan kitchen and living room with custom kitchen island that includes wine storage. 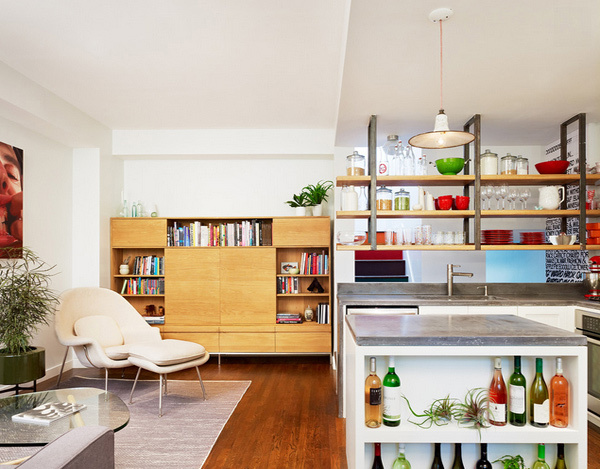 Open shelving mounted on steel brackets support dishes and provide for light from above. Wood and metal. Modern stools that are a mix of wood and metal are pretty popular these days. 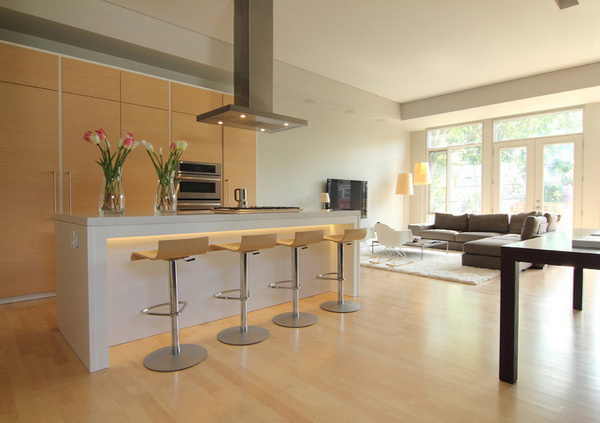 The sculptural quality of these stools in particular makes a statement in this minimal and modern kitchen. 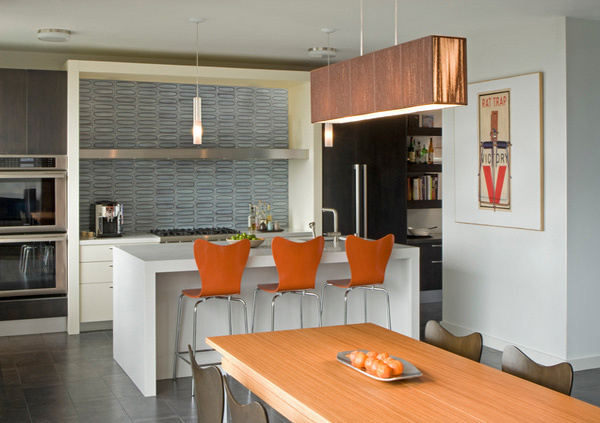 This fairly straightforward kitchen is all about color and texture. 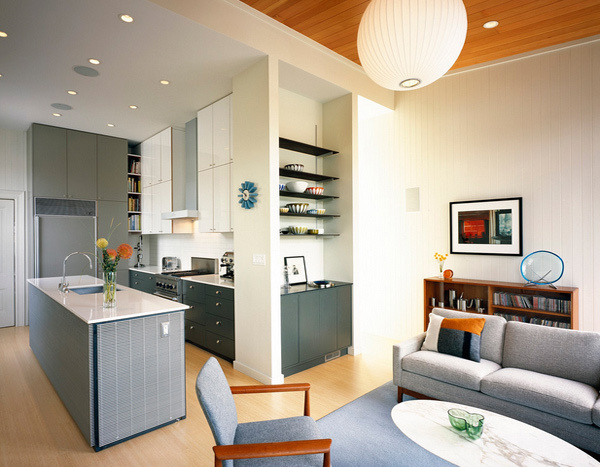 High-gloss white upper cabinets are paired with subtle grey-green lower cabinetry for a real treat. The dark wood cabinets look great and complement the colors of the kitchen counter and the paint color of the room. 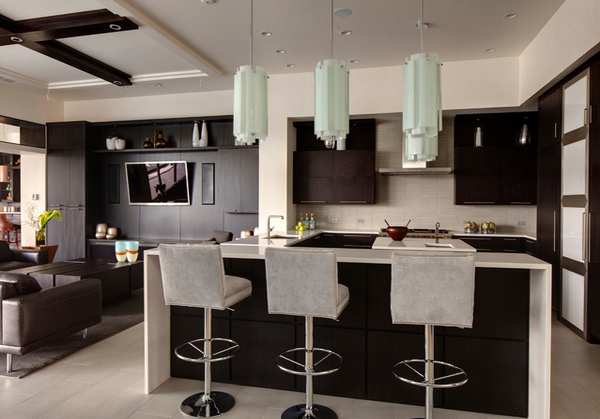 The barstools are one of the items that stand out in this open kitchen, just like the pendant lights that draws the attention to themselves because of their design. Did you notice the glorious flooring made of travertine tiles? 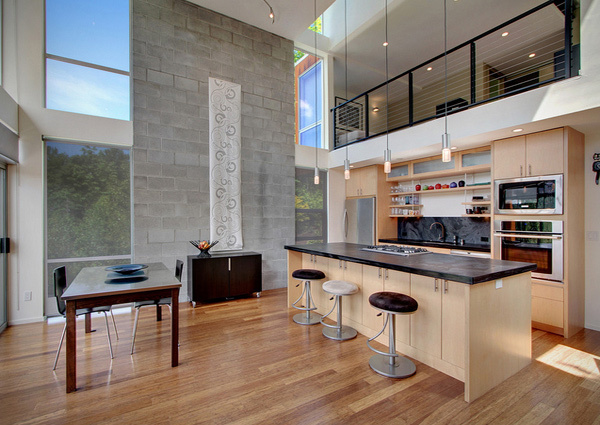 The natural stone product that continuously stuns visitors of this home. The home-owners friends usually comment on the limed and smoked oak wood that was used for the kitchen island and bulk head. We like the use of simple solid colors for this space and maintaining one area with a unique pattern – the backsplash. A sleek and functional kitchen was achieved featuring black walnut and charcoal gloss millwork, also incorporating a concealed pantry and quartz surfaces. An impressive wine cooler displays bottles horizontally over steel and walnut, spanning from floor to ceiling. 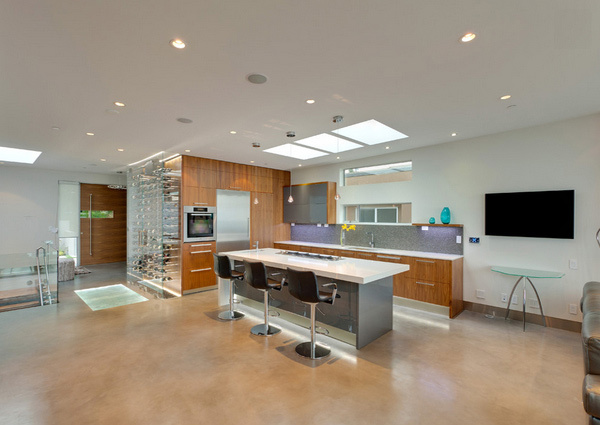 How did you like our list of sleek, sophisticated and modern kitchen spaces that showcase an open space design? They pretty much ensemble spaces that we see in movies that give us full access of the kitchen, the dining area or the living room, which is an advantage for people who prefer open spaces like these. 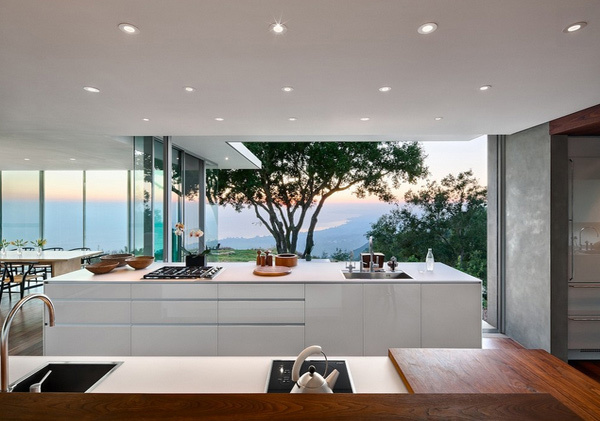 We hoped you liked our list of 15 Lovely Open Kitchen Designs and find time to check our list of white kitchen cabinet designs and tell us what you think!